Event Chimps, a dedicated events company based in Cardiff, are organising a trek to Everest Base Camp in aid of Prostate Cymru, the leading prostate health charity in Wales. The company’s director Nick Powell is running the team event which will take place from the 6th to 24th October 2019. 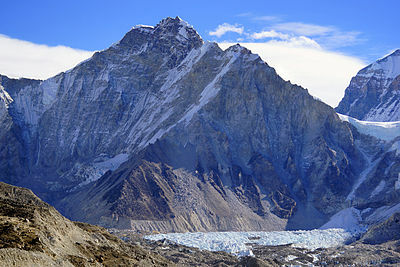 Mount Everest, located in the Himalayas, is the highest mountain in the world. Mount Everest Base Camp in Nepal is a popular destination and challenging trek for adventure lovers. Since the first expedition in 1953, Mount Everest Base Camp has become a must-do experience for many people. The Event Chimps trek starts and finishes in the small town of Lukla in north-eastern Nepal, covering 120km and high elevations of up to 5545m. The trail that the trek route follows includes Dudh Kosi Valley, Namche Bazaar, the Thyangboche Monastery, Imja Khola, Pyangboche, Dingboche, the Khumbu Glacier, Lobuche, Gorakshep and Mount Everest Base Camp.